I’ve written a lot about what it means to be an ethical consumer, as well as an ethical news consumer, and in the past few years, I’ve carried that sense of responsibility and curiosity into researching the beauty products I use. I have been known to spend hours or even days researching ingredients or a specific product, and one of my favorite forms of stress relief is reading and watching beauty reviews. 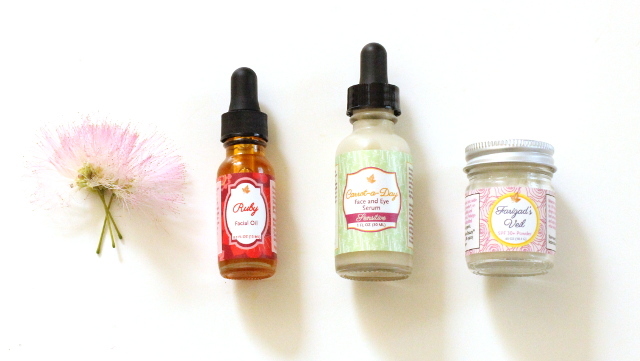 I find that I learn so much from other users’ experiences, especially when it comes to natural beauty products. Recently, I was given the opportunity to sample a few products from Earthwise Beauty, an organic skincare line based in Washington, and I was incredibly impressed by the products and the tireless dedication of Earthwise Beauty’s founder, Ava Zhan. One glimpse at her website and I knew that I was in the right place, as each product is carefully and clearly explained in great detail. I spent days perusing the site and understanding Zhan’s creative process while also learning more about the ingredients she sources and tests for each of her creations. After moving to the United States from Poland in 1996, she began making beauty products for her friends and co-workers in the evenings, teaching herself about topics like aromatherapy and essential oils as she worked. Eventually, Ava began Earthwise Beauty and utilizes only the purest, most sustainable ingredients while working in partnership with gardeners, beekeepers, and essential oil distillers. She is committed to fair trade and sustainable practices, and this dedication is evident in every aspect of her business, from the packaging to the cost of the products themselves. Earthwise Beauty truly reflects the principles I choose to support when I shop, and it’s been such an honor to sample and review them. I was sent a selection of items that are perfect for the summer season, including Ruby Facial Oil, Carrot-a-Day Eye and Face Serum: Sensitive, and Farizad’s Veil Sun Protective Powder. I’ve been using them faithfully for several weeks now, and I’ve come to love each of these products as part of my daily routine. My morning and evening skincare regimens are two of the most quiet and relaxing times of my day, and I look forward to them as I try new products. Earthwise Beauty’s ingredients are so pure and nourishing that I plan to re-order once I run out of these items, and I’m excited to try the other products in the line, as well. The Ruby Facial Oil was a seamless addition to my regular routine, and because it’s filled with moisturizing ingredients including guava seed oil and rosehip oil, it is perfect as a serum under moisturizer, both day and night. I use it twice a day, often adding a drop of plain rosehip oil, and the oil goes on lightly and gently sinks into my skin. It can be blended with Farizad’s Veil Sun Protective Powder to create a liquid sunscreen, which is how Earthwise Beauty recommends using both products in the summer. 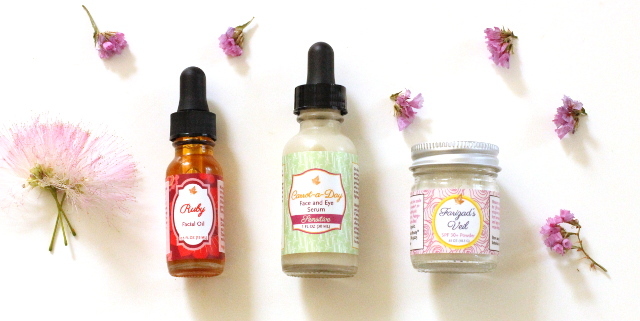 Ruby Facial Oil can be used alone or layered with other nourishing oils and I think it would be a wonderful starting point for those new to using facial oils. I also tried Farizad’s Veil Sun Protective Powder, which contains non-nano uncoated zinc oxide and several essential oils, including frankincense. After discovering an allergy to titanium dioxide several summers ago, I’m always searching for zinc oxide products for both sun protection and calming effects, and this powder is truly amazing. It can be used alone, though it might cause a white cast in photographs, so it’s fine to mix with tinted powder. I actually use it with my white RMS Unpowder and have had great results, especially when I’m out in the Texas sun on my daily walks with my dog. It also mixes well with your favorite oil or serum, and the Ruby Facial Oil was specifically designed to be used in conjunction with this powder. There is a slight rose scent which I enjoy, but if you don’t like it, you can leave the lid off of the powder for a few days, covering the jar with a thin cloth, and the smell will disappear. I really recommend Farizad’s Veil Sun Protective Powder as a wonderful natural sunscreen. The third and final Earthwise Beauty product I sampled, Carrot-a-Day Organic Face and Eye Serum: Sensitive, quickly became one of my new favorite products. Earthwise Beauty recommends refrigerating this serum to preserve the freshness of the ingredients and to increase the soothing effects. Carrot-a-Day includes aloe juice, carrot seed oil, and German blue chamomile oil to create a lightweight gel texture that is incredibly soothing. It was also formulated in response to some customers’ sensitivity to the original Carrot-a-Day Serum, which I have not tried. I found this serum to be incredibly soothing under my eyes and I also used it as a spot treatment for a rather severe hormonal breakout I experienced recently. The scent is light and refreshing, and I found myself reaching into my refrigerator several times a day to reapply it. Because of the refrigeration required, I did not take Carrot-a-Day on a recent trip to Galveston, Texas. We drove down to the coast and the heat in Texas is oppressive, to say the least, so I didn’t want to risk spoiling this serum. I missed using it while I was gone and as soon as I returned, I washed my face and applied it. Carrot-a-Day is the perfect refresher at the end of a long, hot day, and I am really impressed by its potency, too. I use it daily under my eyes in the evenings and apply it to a few dark spots on my face twice a day. It’s also incredibly nourishing and I’d recommend it as a wonderful advanced serum, to be layered with single facial oils. Overall, I am completely enchanted with Earthwise Beauty and I’m looking forward to trying more products in their line. I definitely recommend perusing their site to learn more about the creation process and the love that goes into this incredible brand. Ava Zhan’s dedication to her work is very inspiring and her knowledge of natural, organic, and sustainable ingredients is both evident and admirable. Hi! I'm Catherine: wife, mom, blogger, and writer. Join me as I write about ethical fashion, natural beauty, social issues, and everything in between. Walking with Cake is a participant in the Amazon Services LLC Associates Program, Credo Beauty Affiliate Program, and ShopSense Affiliate Program. Clicking on links within my site may result in a commission for me. I only endorse products that I currently own, plan to purchase, or would love to buy if money grew on trees.